With busy work schedules, and tight dealines, having a long holiday seems impossible for most of the busy executives. Just like Bangkok, Kuala Lumpur will always be a travel option for most of us because of its proximity. But it’s more than that. It’s the way the city has embraced modernity with its towering skyscrapers and technological connectivity, all while retaining its traditional customs and religions of its residents. 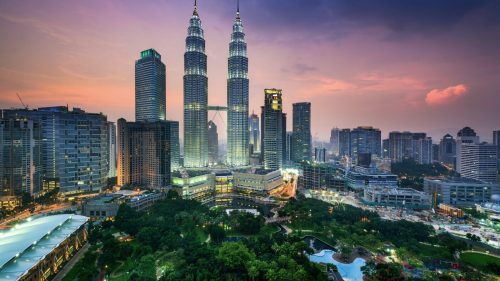 Beyond the traffic and malls the wide varity of delicacies and the affordable Malaysian Ringgit makes Kuala Lumpur exceptionally enticing for a weekend get away. The Metropolitant Team checked ourselves into the Hotel Pullman Kuala Lumpur City Centre Hotel And Residences, Pullman KLCC for short. Located in Kuala Lumpur’s CBD within KL’s vibrant entertainment and shopping district, Pullman is a short walk from Raja Chulan Monorail station and opposite the Pavilion Kuala Lumpur luxury mall. 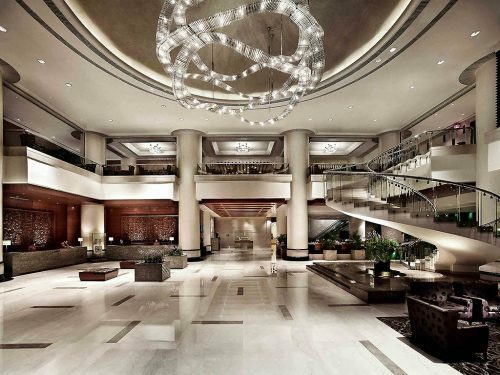 A perfect location for business or leisure travellers. Our room features 2 spacious bedrooms, and separate living and dining areas. A fully equipped kitchen and 97 sq m (1,044 sq ft) of room to work and play. 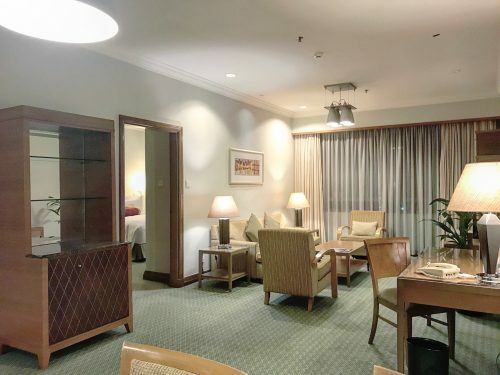 The Pullman Superior two-bedrooms residence is ideal for groups or families who want a hub for exploring all that downtown Kuala Lumpur has to offer. Pullman residence guests enjoy free buffet breakfasts and the many amenities of Living Space, an exclusive lounge on the 10th floor looking out at the tropical garden and pool. It’s a place where adults and children can play games in The Zone, watch movies in the home theatre, help themselves to snacks and participate in fun workshops. 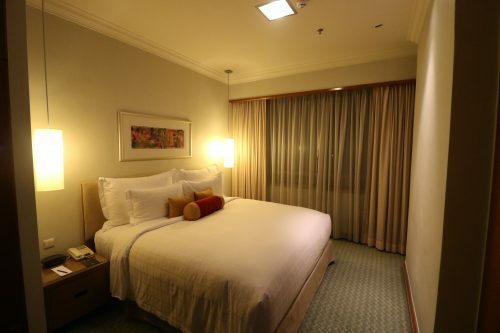 This spacious rooms has ample space for 4 person family. 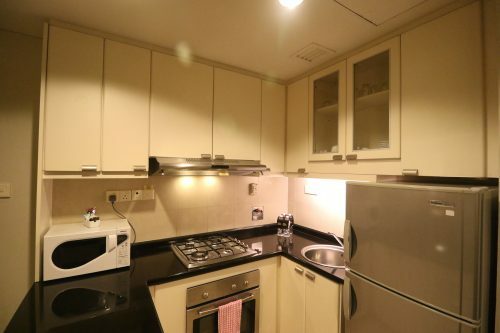 with a living room and 2 bedrooms inclusive of a kitchenette, this room is bigger than the public housing in Hongkong. 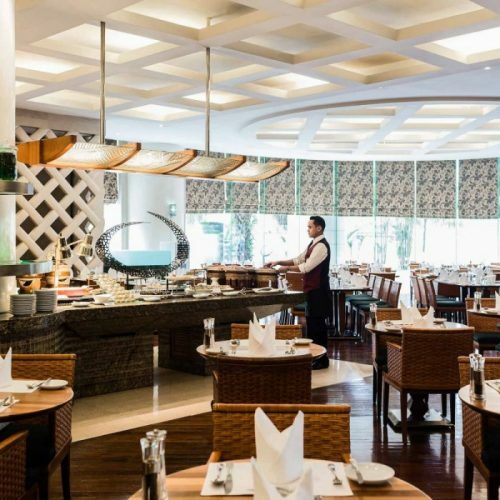 But with all the amazing F&B outlets within this hotel, you will not need to cook in the room. Eccucino is a contemporary restaurant just off the Pullman lobby. Chefs cook up an array of Malaysian and international dishes in front of diners – at live cooking stations featuring flaming stovetops and ovens for pizzas and tandoori. It’s an experience for all the senses. Open from 6am until midnight, Eccucino tempts locals and travellers with breakfast, lunch, dinner and snacks served buffet style or à la carte. The ice cream bar is a local favourite. Breakfast, served until 11am, is a cosmopolitan collection of eggs your way, Asian rice dishes, European pastries and cold cereals, including homemade muesli. This lively and convenient restaurant is the perfect spot for a coffee break, quick bite or relaxed meal – almost any time of the day or night. Traditional and modern Cantonese dishes in graceful surroundings. Intimate private dining rooms ideal for entertaining business associates or friends over a lavish banquet. An array of classic and creative dim sum specialties, à la carte or from the buffet. 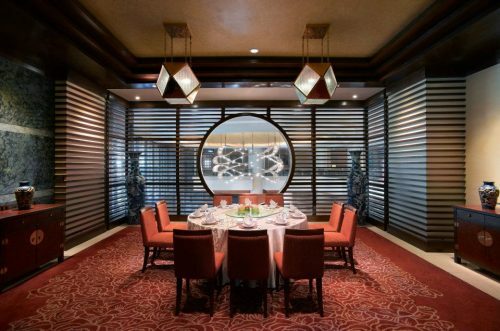 Tai Zi Heen offers guests the finest flavours southern Chinese cuisine has to offer, in the heart of Kuala Lumpur. Open for lunch and dinner every day from noon to 2:30pm and 6:30pm to 10:30pm. Sharing is nice but unnecessary, not when there’s eat all you can dim sum. Yum Cha is an Asian-style hi-tea. Sharing a common love of dim sum, good tasty tea and lively conversation of great value over 45 freshly prepared dim sum at just one price. 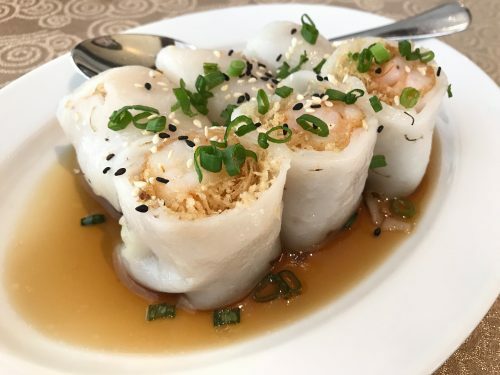 Tai Zi Heen serves up house-made congee, rice rolls, steamed dumplings, sweet and savoury buns, work-fried dishes, sweets and more for an enticing “buffet a la carte” brunch. Every weekend and public holiday. Available between 11:30am and 3pm. Kids eat free (under 5 years old) and pay 50% off (6 to 12 years old). A stopover for casual meetings and fresh drinks at the top of the spiral staircase. This open, relaxed setting invites travellers to sink into the comfortable armchairs. 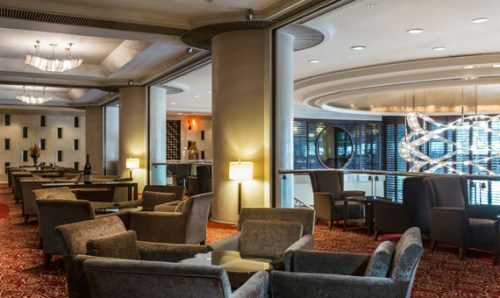 Mezzanine Bar & Lounge is the place for a coffee with colleagues, afternoon snacks with family or drinks with your tribe at the end of the day. 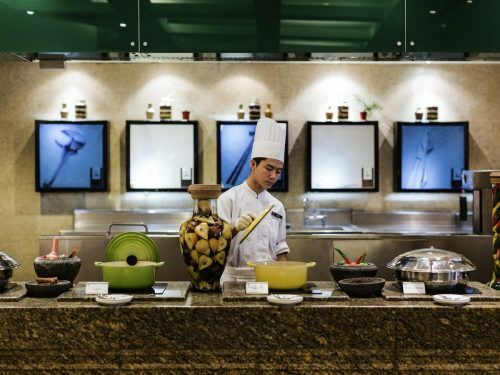 For lunch and dinner, the award-winning Enju and Tai Zi Heen restaurants offer popular dishes from their menus. Mezzanine Bar & Lounge is open daily from 10am to 1am. Bars with live music are always an exciting alternative. Jazz, pop or even hit musics, you can get all of these and more at Mezzanine, Level 2. Let the live band soundtrack your night out. When the day’s work is done, Happy Hour is just begun. A big thank you to the wonderful team at Pullman KLCC and Accor Asia Pacific for hosting us at this amazing property. We will definitely return in the near future! Metropolitant’s Fitspiration – 10 Fitness Hunks To Follow From Showdown!